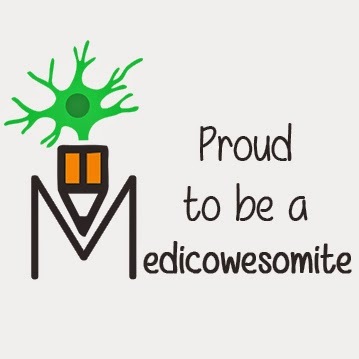 Medicowesome: When it seems out of your reach, should you try? I come from a middle class family and would be the first doctor in my family. I have been a consistent school/college topper, until I came to MBBS. A person who has had a record like 100% in SSC, got every scholarships like NTSE, topped college again, got into XYZ college (pretty much like sailing straight through the dream channel) crashed down to 56% in first year of MBBS. I give it to partly being distracted because of the new cultural environment and partly to being clueless about how to study, more of to say smart studying. Come second year, it was among the toughest years due to family issues, but still I managed a 60 and finally got into some positive cycle to get 68 last year. I haven't thought of USMLE because of two reasons: Money and complexity of the process. Money - Honestly, I have always felt every other localities in my college is richer than me, and MLE, is definitely not my cup of cake, those 5-6 people whom I see taking the exam every year from every batch are typically sobo kind of people. My parents money has gone on educating my sister and I,and our savings/bank balance is too less for going and living to US to be a reality. There's an 8 years gap between my sister and I, my dad's already 55 and wants to retire once I start being independent. Here is some background about me before you start reading this email: I come from ___ and I am the first doctor in my middle class family too. I am not a sobo kid. My house is in a chawl. It has just a hall, kitchen and an attic. My neighbors use a common toilet outside the chawl. Have you heard of the Arabic word Baraqaat / Barakat (بركات )? It means more in less. Sometimes people are rich even though they don't have much money. Baraqaat is abundance in little. I have been blessed with baraqaat. Do you believe that destiny creates a way for those who work hard? If yes, don't worry about the money. Give step 1. I will give you access to UWorld, lend you my First Aid book next year, send you resources you need. All you need to worry about is 800$ application fee for step 1 and 60$ mock exam fees - can you manage that for now? I can site too many examples of seniors who have put in years with no result and finally giving up and appearing for PG CET in India. The girl who was rank 5 in my UG CET, slogged all the way for step 1, who did a very good research, didn't take the exam in the end because she dropped the idea, when her elder brother didn't succeed in MLE for 3 years. It needs contacts and is a huge risk. The statistics are not so reassuring, and moreover the risk involves both money and time. I have had been so demotivated by just MBBS journey till now that the level of MLE questions just seems out of my reach. Moreover, I want a surgical branch, that made it like an almost complete NO. I can site too many examples of seniors who got fed up of NEET, tried USMLE and matched. The person you are talking about should have given her steps and applied for the match before quitting based on failures of others. It needs contacts? No! Girl, you need to talk to the right people. The statistics and surgery: My close friend is going to do surgery prelim at Yale. Another friend will be doing Obstetrics and Gynecology at Baylor. One of my buddies matched into neurosurgery at VCU last year. This is not hearsay, these are IMGs, requiring visa, hard working people that I personally know that defied the statistics. MLE questions: MBBS is boring. MLE questions are so much fun! They have clinical vignettes, they let you think - you will enjoy solving them! So, you see, MLE was something never really paid attention to, till now it's all been just preparing for PG CET now and getting a seat in a government college for surgery. However, there's the other part of the story. I want to settle in a new place, I want an escape. Now that I am gathering myself and working towards what I really want, I don't know if it will be all okay, if I really should be dreaming it, if it is stupid of me to think of the possibility. It's okay to doubt yourself. I did it every other week. Is it really possible? Is it something I shouldn't be doing? Will I make it? It's easier here - why am I doing this? It is okay to feel this way. Regarding studies, I have come this far,so maybe I am not really dumb, but having a rough patch, and can still mend it. I know I can work really hard if I really want something and am motivated, with you as a role model, I can study day and night. I know I overthink and try to think too much of the future and try to get control of it, especially because after coming through the dream channel I crashed in MBBS and disappointed my parents, who have always been so supportive. I don't think you have crashed in MBBS. Why do you think you've been disappointing? I failed my first year term exams. After first year, I have been scoring just like you throughout MBBS. You are not dumb, marks aren't a way to assess how smart you are. Know your study material, know your patients - you will do fine. I know I am just a random person, getting too honest and there's no reason why you should be answering this. It is just I am being too restless and anxious. I really am in a huge dilemma as to what to do, first of all people decide all this too early, at this point I have no clue with the actual details, study material, process of every step. At times, I find myself doubting if this is just some impulsive thought. Like I said before - the doubts are real and it is okay to feel this way. It is okay to feel this way. My friend decided very late (internship end I believe), completed all his steps in 6-8 months and matched before others could even blink! Details, study material, process - doesn't matter. You will find the information online. What you need to do is take the first step in faith. The first step is the hardest. It's so hard to take that you fear you will fall. I used to call it the leap of faith. I urge you to take the leap. Thought #1: You can not give the steps without your parents support. Ask them - will they be able to support you for step 1? If they can, can you make their money worth it and score a 250+ for them? This is all I did when I started. After step 1, if you can not figure the finances out - quit and do PG. This was my plan. Thought #2: US clinical experience / electives is required before you graduate. Can you finish step 1 so you can go for cheap electives? Can your parents support you for the expenses during electives? If not, who can you ask for loans? What about other expenses? Don't think of them right now. We will help you when the time comes - focus on Step 1 and USCE. Get exceptional scores: Scores of 250-270 in all steps will make the process 100x times easier. Get observerships: Once you graduate, you can not do electives. Observerships are the only way to get USCE. Do you think you have an answer to any part of this? Please, do let me know, as honestly as you can, even if you think I am being stupid. Even if you can't/don't want to reply, I just want you to know that I am so glad that I have came across you and I hope you keep acing and writing and inspiring others! Honestly, SS, baraqaat comes to those who are happy and grateful. Get some positivity before you start. You need to believe in yourself before anyone else believes in you. The answer to your email is: Enjoy studying. Give your USMLE step 1 exam. I hope your score has the baraqaat blessing in it required to help you match. I'm glad it did - there's always hope (watch the movie Shawshank Redemption).